Find out about the world of bats. 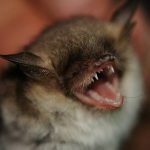 KBCS’s Yuko Kodama talks with Ed Dominguez, Seward Park Audubon Center Lead Naturalist, about how our local bat population help keep the insect population in check, although they are often perceived as being simply pests for us humans. They also discuss how bats make it through the winter.